Once in a while I come a across a children's book author/illustrator that I develop a crush for. My crush usually leads to buying many works of said crush. My current crush is Oliver Jeffers. He writes simple yet irresistible story lines, wrapped in silly and heartwarming messages. His pictures are whimsical, funky, and eye catching. He makes me want to read them over and over to my boys. Recently, we got a hold of How to Catch a Star. A young boy dreams of making friends with a star, and sets out to catch one. His idea of how to go about it are logical to him, but not attainable. He soon learns that it's not as easy as he thought it would be. I won't tell you what happens because I love the ending, and I don't want to spoil it, but the meaning behind the story, to me, is a great lesson. The old saying "reach for the stars" rang in my ears as I read it aloud to my six year old the first time. I've talked about this lesson with my older son several times, in subtle ways, as we've re-read the book. I wanted give my son a reminder of the greater meaning behind this story; a visual reminder for his goals in life. Of course I chose a star, a paper star that we could put together ourselves. 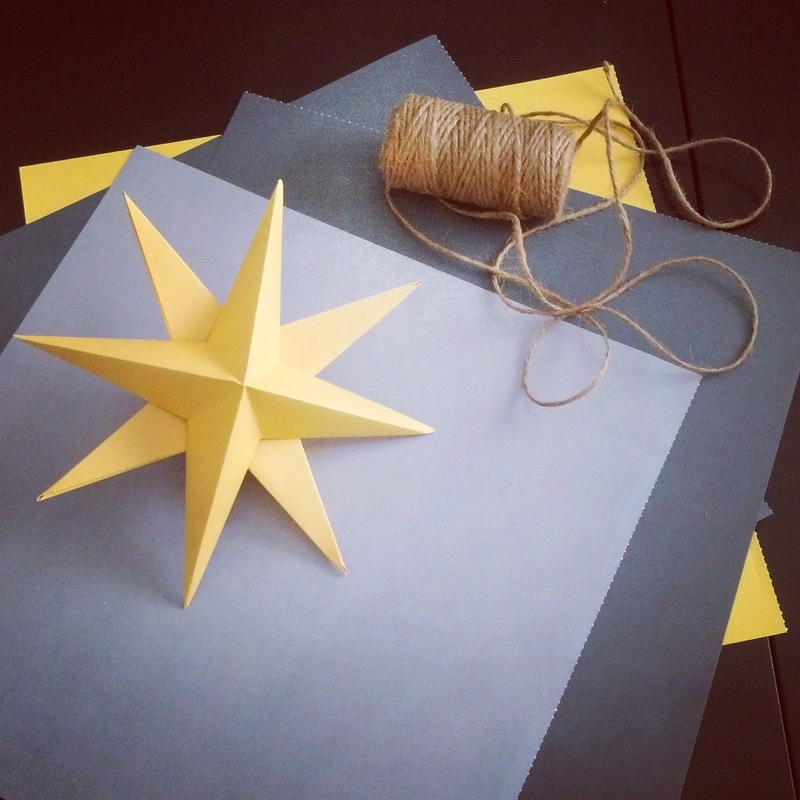 I found this easy tutorial that results in beautiful stars from the creative blog Annekata. 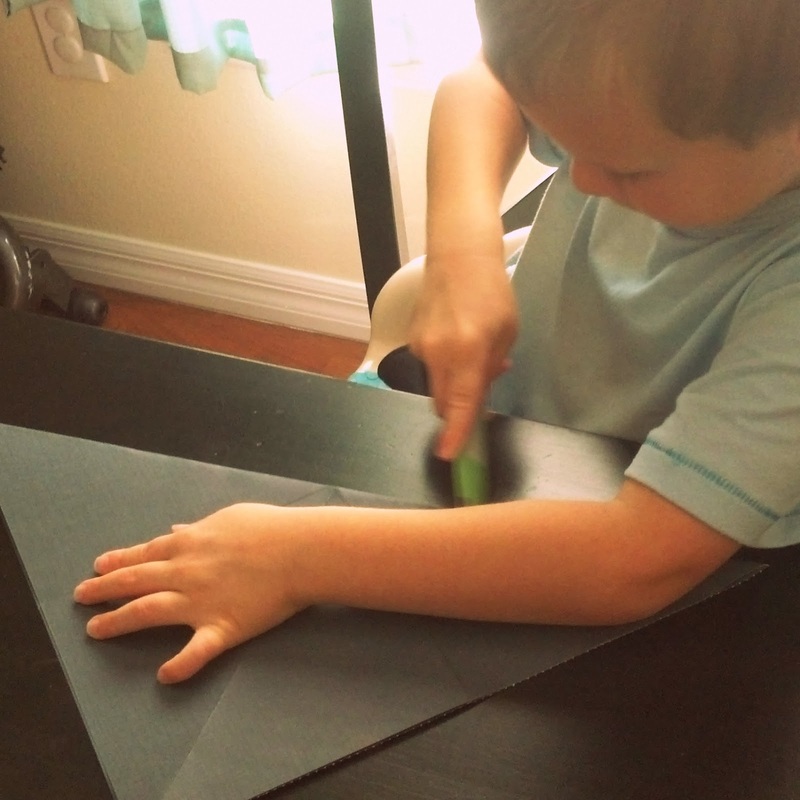 My son chose the paper, and we began folding together. We made larger, and smaller stars by changing the size of our squares. 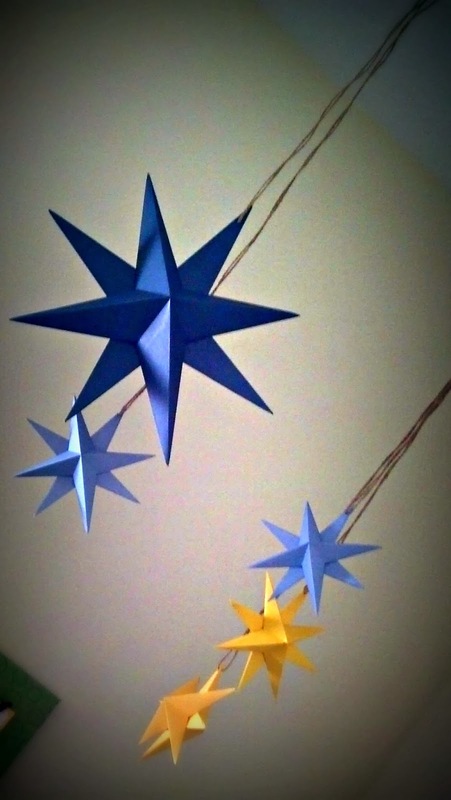 Once the stars were complete and the glue was dry, I strung them with twine and hung them over his bed. They are his stars to reach for, his stars to dream about. Right now his "stars" are to ride his bike without the training wheels, and to read. He's been working on both for a while, gaining skill, and confidence. I am so proud of his efforts. My hope is to use these stars to encourage and motivate him toward his goals. A way to spark conversation about what he can do to work on them, or to discuss other goals he may have. Maybe my own goals will benefit from this too. I guess one of my goals is to help him "catch" his first "star." 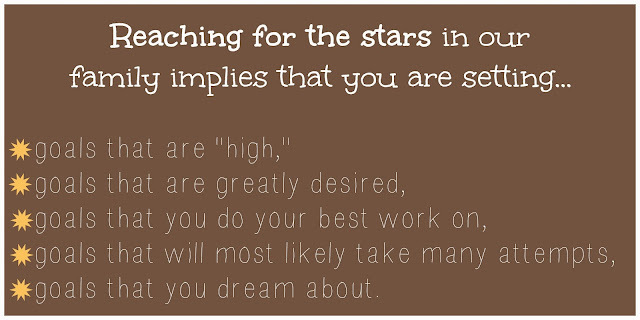 What "stars" are your kids reaching for right now? Have you read any Oliver Jeffers books? Which is your favorite? I love Oliver Jeffers books too! What a great craft to make with the book. Thanks for sharing.